While posters can be framed in any Framatic frame, the Super Simple was designed for those occasions when the artwork may not justify the price of one of our other styles. Pared down to a styrene plastic front, a corrugated back and a minimal aluminum molding, this frame lives up to its name and is a good choice when breakage is an issue. The Framlok system makes it super easy to use. 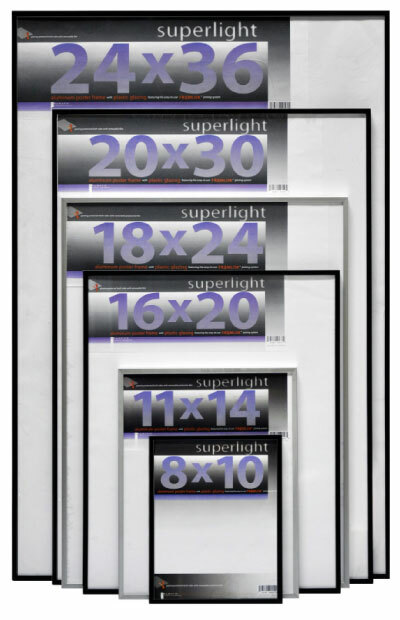 All the most common poster sizes are available.